Mur-lok Reverse Osmosis fittings are the only RO fittings that feature dual EPDM O-rings to ensure a straight leak free fit. 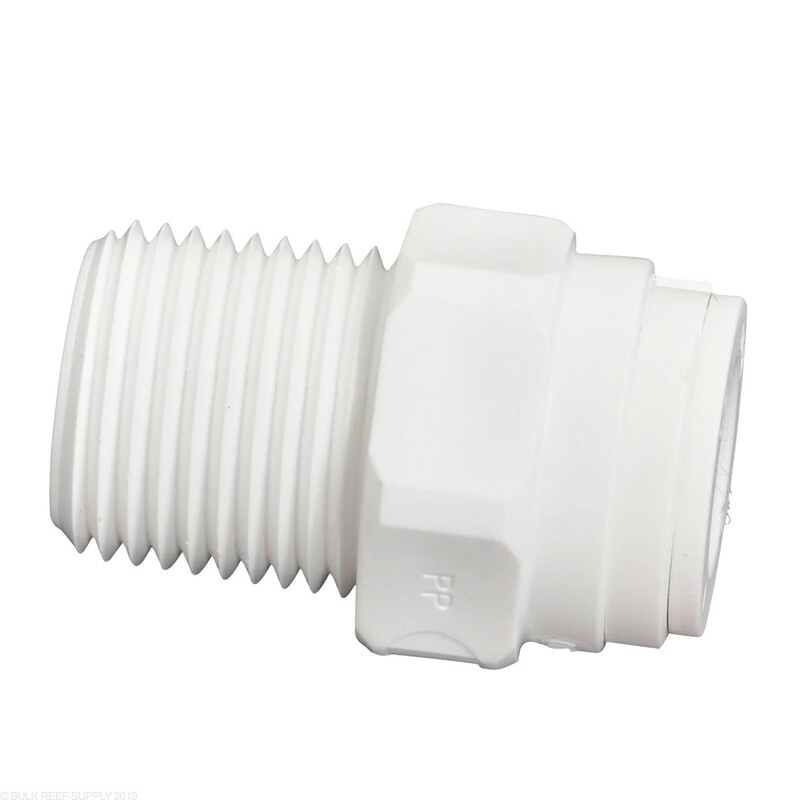 These high quality American made fittings are constructed with FDA approved materials. I use these for my 1/2"canisters for GFO and Carbon which I turn them (Canisters) sideways add a Y splitter or divider and run the canisters separate with valves instead of in series. It allows me to fine tune each one to the desired flow rate, so I can tumble the GFO and I can run water through carbon slower. Instead of how BRS makes them(dual reactors) I find this a much better way to use these Murlock push connectors with half inch canisters for a dual reactor. It would be nice if BRS used a metal dual canister bracket and built them this way, allows the customer most usage of each media before disposal. I used this on the secondary siphon for the BeanAnimal overflow..couldn't be easier to install and use. Great construction. High quality. What can you say about a plumbing fitting...good quality, no leaks, accurate thread size, etc. BRS always delivers quality stuff. Used this threaded into a ball valve that feeds my GFO and GAC. Worked perfectly with no leaks. Good quality part: fit just right. Quick and easy Hassle free. I use weld on 40 to glue these into the bottom side of used acrylic tanks for cheap and dirty gravity fed top off containers. I have a friend that claims that you can drill a hole the perfect size and thread these strait into the tank, but that just sounds sketchy to me... i glue it! Witch size would I need for the Brs PO4 reactor ? The BRS Reactors have ½” NPT x ½” Push Connect fittings that convert the threads on the canister head to push connect tubing. For white you will want SKU 100003. If you have any more questions just let us know. Thanks! Could i use the 1⁄2" Male NPT x 1⁄2" Push Connect (SKU: 100003) to hard plumb my brs reactors in with my return pump? Does 1/2" male npt have tread nut for bot down? 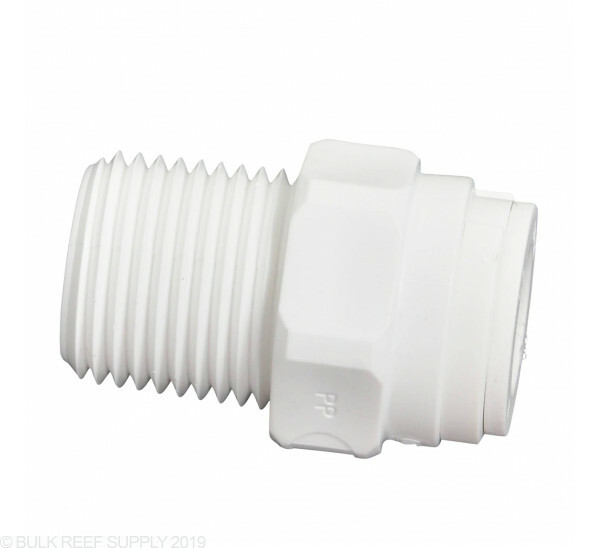 You will use the 1/4" murlok male NPT Fitting. Feel free to let us know if you have any further questions! Will these fit onto a Schedule 40 female fitting? So long as the female fitting has standard NPT threads of the appropriate size, then these should work just fine.